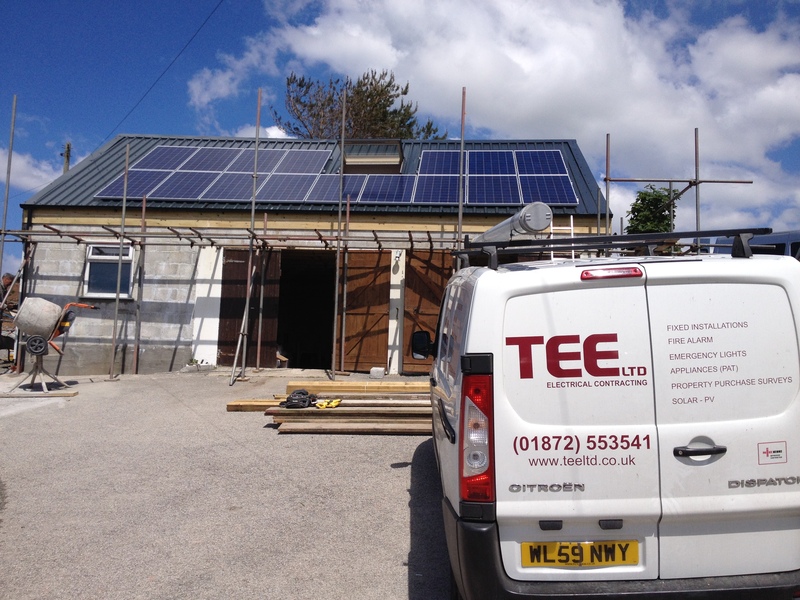 TEE electrical contractors are accreditated by the Microgeneration Certification Scheme (MCS) to install solar panels in compliance to industry standards. We’ve helped many businesses and homes across Cornwall to save energy through the use of solar PV. Solar panel electricity systems, also known as solar photovoltaics (PV), capture the sun’s energy and convert it into electricity, which can be used to run household appliances and lighting. Photovoltaic cells don’t need direct sunlight to work – they can still generate some electricity on a cloudy day. 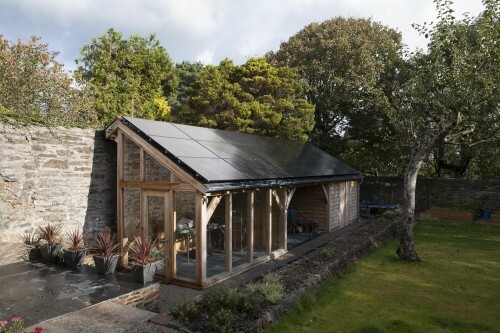 The average domestic solar PV system is 4kWp and on average costs between £5,500 and £7,000 (including VAT at 5%). The more electricity the system can generate, the more it costs but the more it could save. A 4kWp system can generate around 3,700 kilowatt hours of electricity a year – roughly equivalent to a typical household’s electricity needs. If your system is eligible for the Feed-In Tariff scheme it could generate savings and income of around £750 – £900 a year. Solar PV needs little maintenance – you’ll just need to keep the panels relatively clean and make sure trees don’t begin to overshadow them. For more information on Solar PV, please call us on 01872 553541.